The Chief Administrative Officer (CAO) is appointed by Council to assist in setting the direction of the Town by providing guidance and advice – based on best practices and emerging trends in municipal government. He works closely with his counterparts in other municipalities, as well as with both federal and provincial government officials on a variety of issues affecting the Town of Amherst. The CAO also directs and coordinates the general management of the business affairs of the Town, overseeing the work of all municipal employees, in accordance with the by-laws, policies, and plans approved by Council, so that our programs and services meet the ever-changing needs of the community, while ensuring fiscal responsibility. Before becoming Chief Administrative Officer in 2005, Greg served as the Treasurer/Director of Finance for the Town of Amherst (1997–2005). He previously (1983 – 1997) worked in public accounting in both national and local firm settings and has extensive municipal audit experience as a Registered Municipal Auditor before joining the staff at the Town of Amherst. 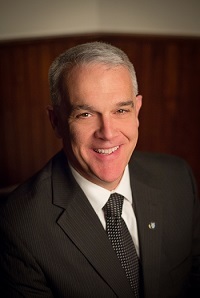 Greg is a Past President of the Association of Municipal Administrators and serves and has served on a number of association and provincial committees. He holds a Bachelor of Commerce degree and Diploma in Local Government Administration from Dalhousie University, and is a Chartered Professional Accountant having qualified as a Chartered Accountant in 1983.